As a webmaster, you will have to wear many hats and tackle many tasks on a daily basis. You could always rely on a third-party task manager to track everything you need to do. If you manage multiple websites, things can get a bit more complicated. scifi Task Manager happens to be a simple plugin that adds a task manager to the admin dashboard, helping you get things done on time. The scifi Task Manager lets you track tasks, their status, and priority. 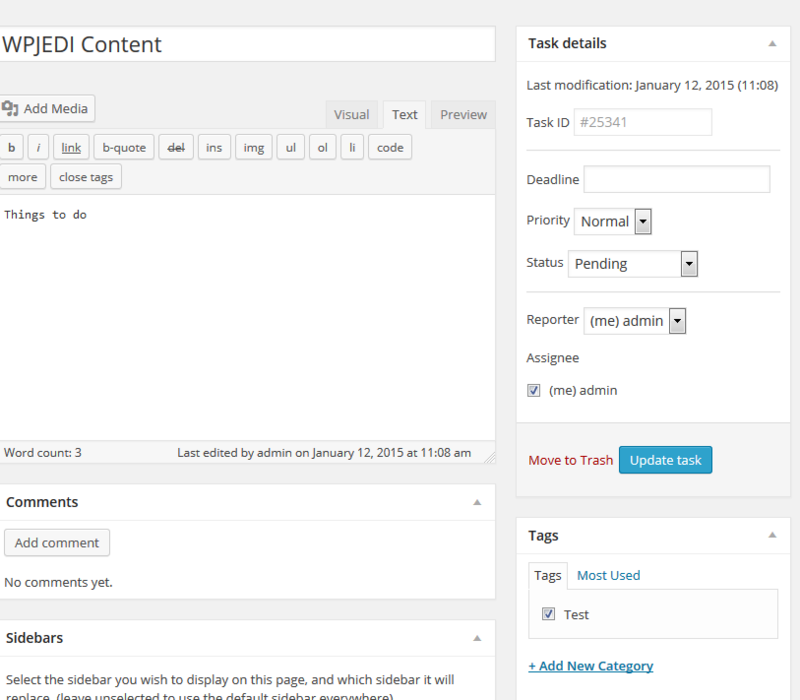 For each task, you can choose an ID, title, content, priority, deadline, and tag. 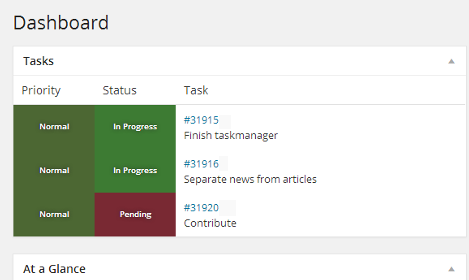 It uses different status colors to help you manage multiple tasks easily. This could especially work great for websites with multiple admins. The scifi Task Manager plugin is not the most sophisticated task manager we have seen. But it does integrate with WordPress and won’t waste your time with frivolous features. This is a free plugin.